Étouffée or etouffee, pronounced: [e.tu.fe] ay-TOO-fay, means “smothered” in French. 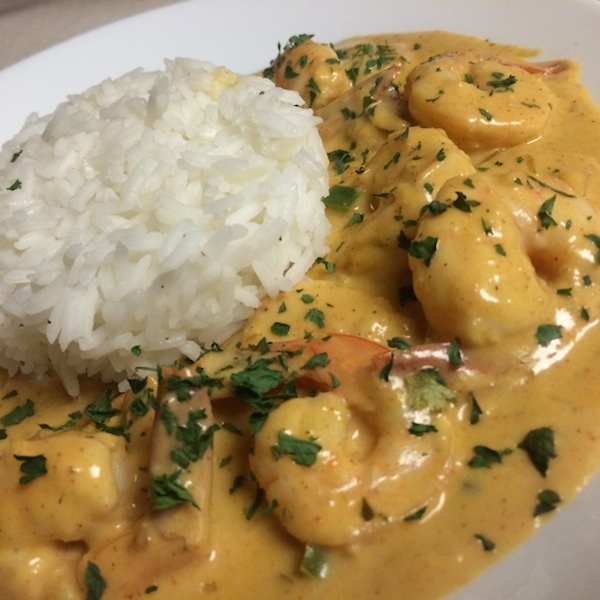 Etouffee is a dish found in both Cajun and Creole New Orleans cuisine typically served with crayfish over rice. 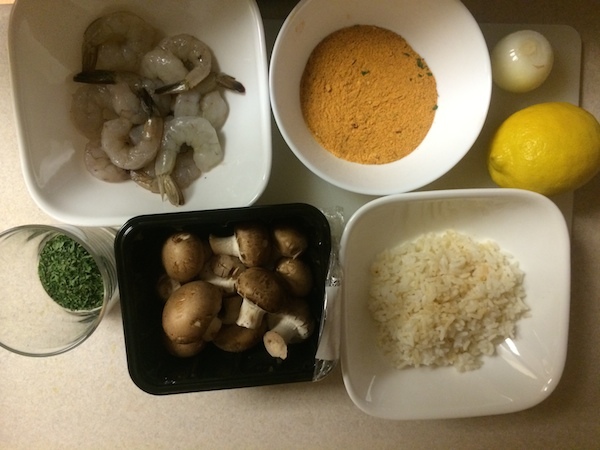 Without further ado here is my twist on how to cook shrimp etouffee! Optional: A dash of OLD BAY SEASONING if you like your etouffee on the spicier side. If you are in a rush or prefer premixed, you can also pick up Tony Chachere’s Creole ETOUFFEE MIX. 1/4 Cup Mushrooms for additional flavor. Great for high protein diets. 1 1/2 Cups Shrimp Stock or heavy whipping cream if you like a heavier roux, as pictured above. I purchase mine with the shell on and use the peelings to make shrimp stock. Sea Salt & Freshly Ground Black Pepper to taste. I personally don’t use any additional salt for the above recipe. However I do squeeze fresh lemon juice on the finished product. Marinate shrimp with 1 Tbsp of the Creole Seasoning for a minimum of 5 minutes. Heat a skillet over medium heat. Add a tablespoon of butter and swirl it around the pan. Place the shrimp in the skillet. Arrange them in a single layer, making sure they don’t overlap. Cook the shrimp for 2-3 minutes on each side. The side touching the pan will begin to turn pink. The shrimp are finished when they have turned bright pink and the flesh is opaque white, rather than translucent. Remove shrimp and place in a bowl to the side. In the same pan add the remaining amount butter, along with the onions, bell pepper and mushrooms. Saute until translucent. Add heavy whipping cream and flour. Stir to combine. Whisk in the flour to make a blonde roux, stirring constantly, about 3-5 minutes. Stir in the remaining Creole Seasoning. Add cooked shrimp and stir. You can also substitute pasta or a baked potato in lieu of the rice. Posted in Recipes and tagged homemade creole seasoning, how to cook shrimp etouffee, How to cook shrimp etouffee directions, shrimp etouffee directions, Shrimp Etouffee Ingredients, shrimp etouffee recipe. Bookmark the permalink.